Fresh tasting sweet corn available year-round! 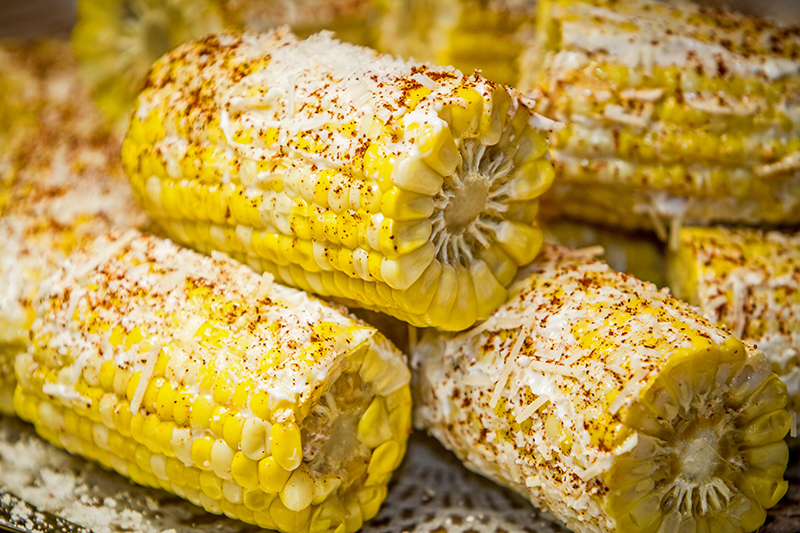 We are excited to be representing a new sweet corn with a great, fresh taste for the food service industry. 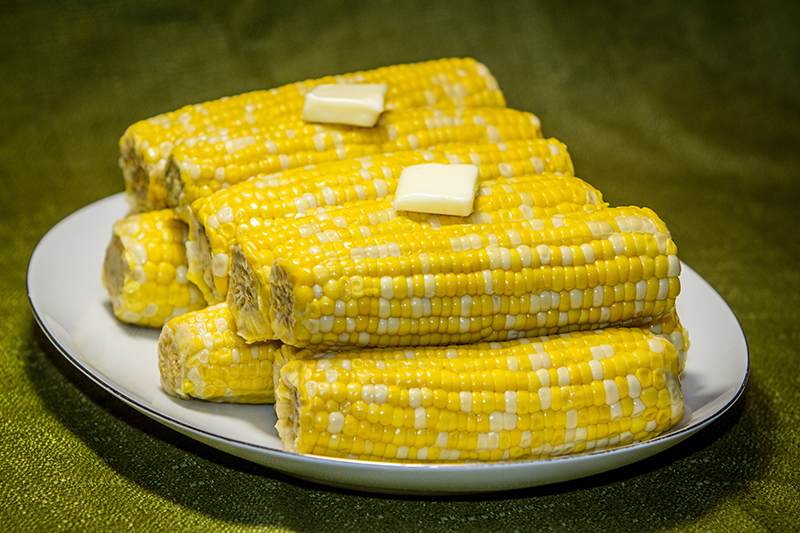 The sweet corn, available in 6-inch or 3-inch long cobs, is pre-cooked and vacuumed packed, offering an amazing long shelf life when kept refrigerated. 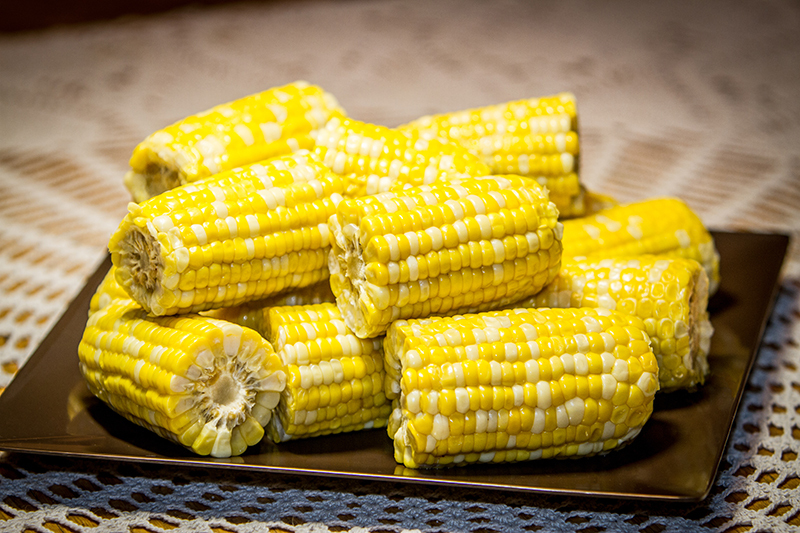 The sweet corn variety is bi-colored (yellow and white kernels mixed) offering great visual appeal versus a typical all yellow variety cob. "You will not believe the taste of this corn as compared to frozen products offered today," comments Dewight Hall, owner of Columbia Fresh Produce. The corn will be displayed and sampled at the upcoming Atlanta Food Service Expo on October 19 and 20, at the Georgia World Congress Center in Atlanta, GA. "We cannot wait to introduce this great new product to the food service buyers at the show," offered Dewight Hall, Director of Business Development at Columbia Fresh. "The taste of this sweet corn and the crispness of the kernel is no comparison to what the industry is using today. I know buyers will be very interested in this great-tasting and easy-to-use product," he added. 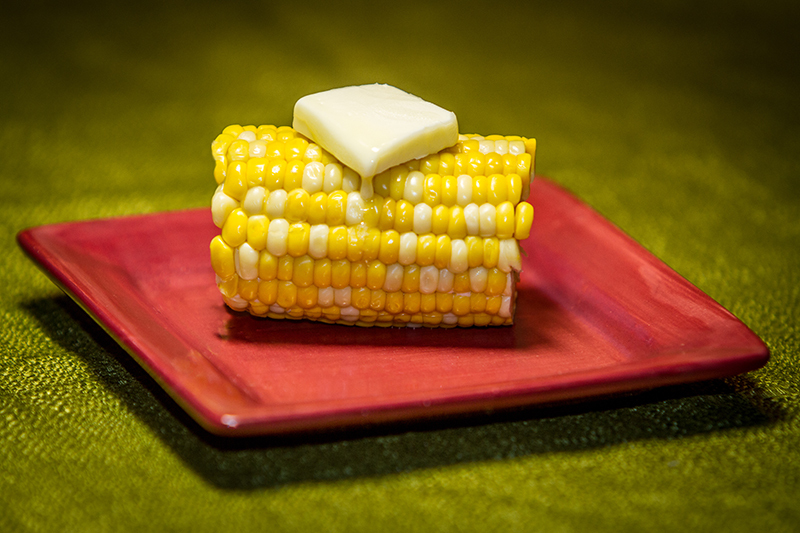 The corn is grown in some of the richest vegetable growing regions of North America. The corn offers not only a consistent size, it also has simple and fast warming preparation times, allowing users to prepare what is needed quickly. Warming can be done via microwave, steam tables, boiling, or grilling. Since the product is pre-cooked, it only needs to be brought to serving temperature. 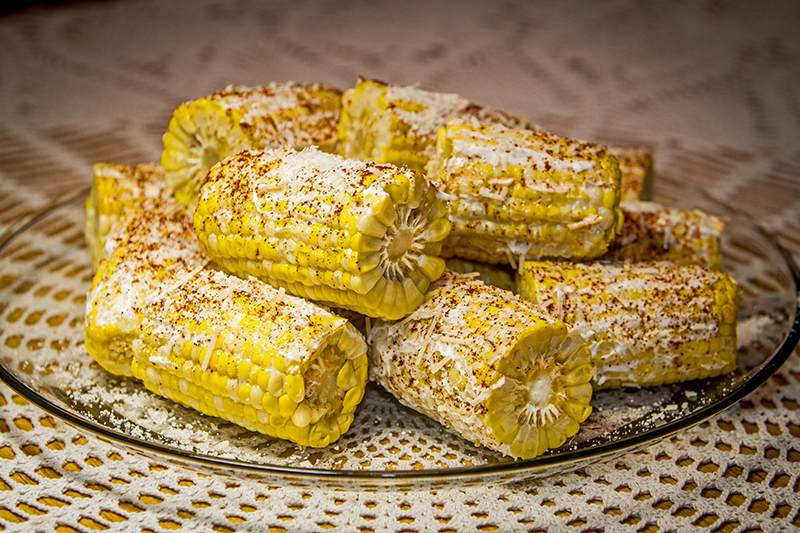 The variety of uses this corn offers extends beyond a side dish or entree complement to include appetizers and small plate menus. Columbia Fresh is looking forward to presenting this great product as an alternative in the fresh food category. For additional information, contact Dewight Hall at Columbia Fresh via email: dewight@columbiafresh.com or by phone: (877) 968-9067. This week we received orders for bagged fruit for two food banks. 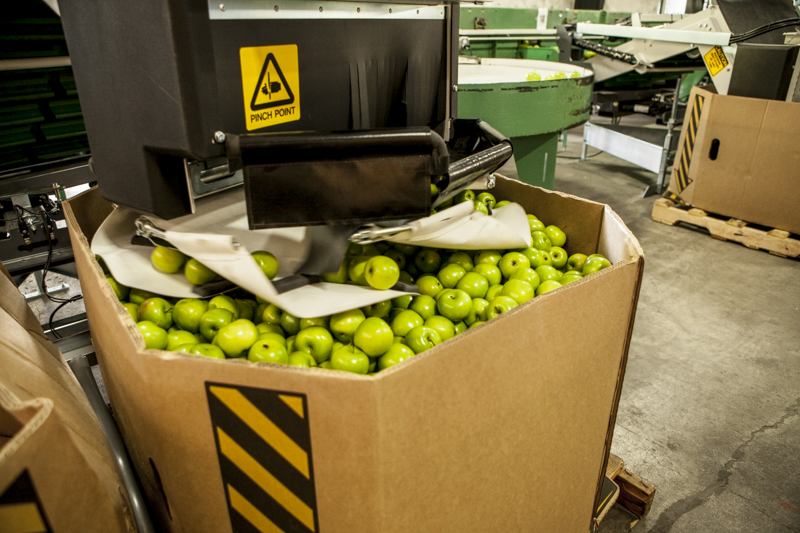 One load of apples packed in 5# bags and placed in 120 count bins. 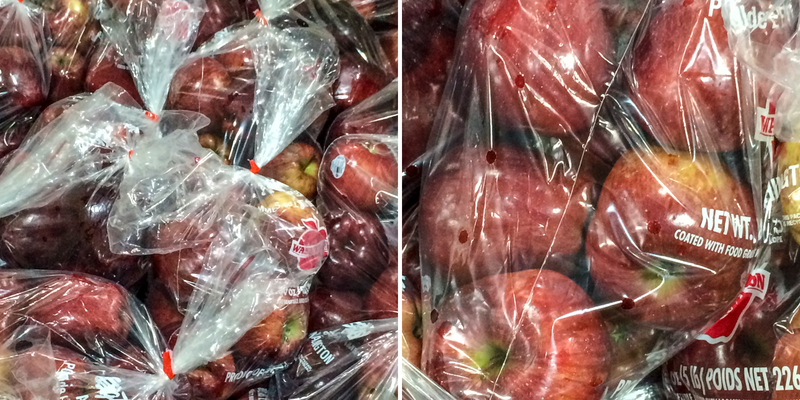 The other order was for apples and oranges both packed in 5# bags and placed inside tri-wall cardboard bins. The orders are packed fresh to order so we can deliver the best possible quality for hunger relief. 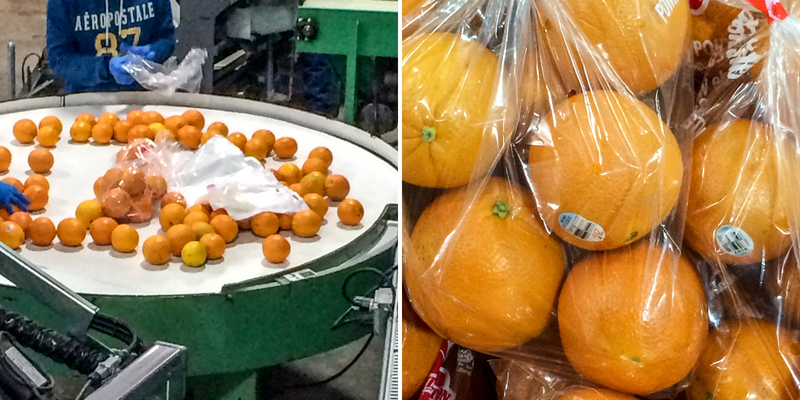 Fresh California oranges are washed for use at the packing shed bagging them into 5# bags for hunger relief. 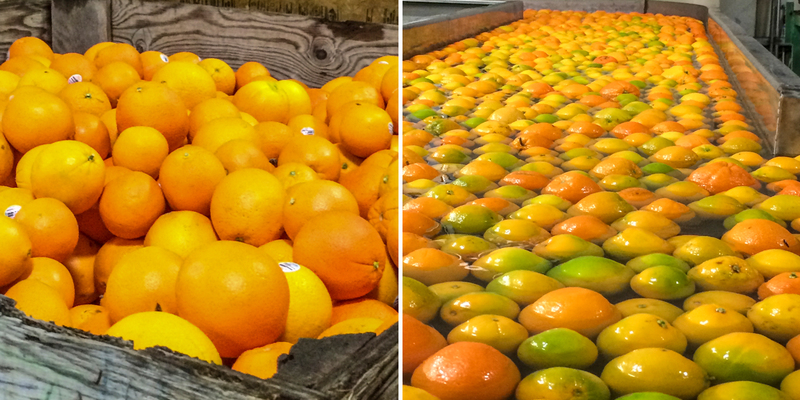 These oranges will be delivered to the Food Bank of Alaska in Anchorage! Their order will consist of 30 bins (120 bags in each bin) of oranges and 30 bins of 5# bagged Washington State apples giving the food bank a nice variety for the hunger relief agencies that they serve. 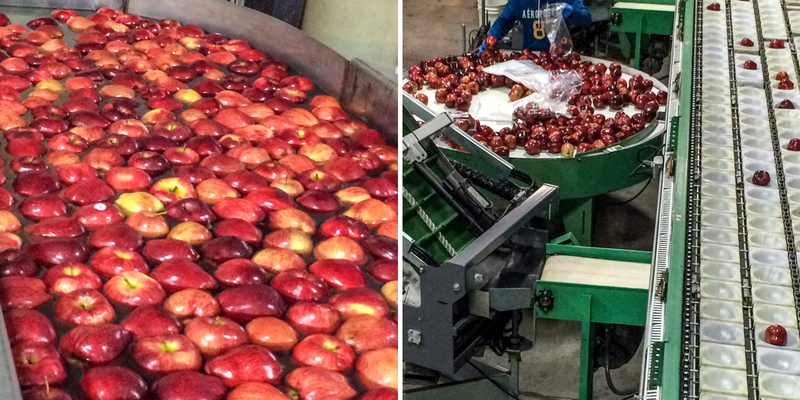 Below are the actual Red Delicious apples used to prepare their order. The bags are packed by hand and placed inside (3-ply) cardboard bins for easy handling and storage at the food bank. Below is the finished product for the Food Bank of Alaska! The 5# bags resemble what you might typically find inside a grocery store that allows the food bank agencies to offer fresh produce that is easy to recognize by agency recipients. An important issue when serving our nation's hungry. Kennewick, WA – Columbia Fresh Packing, a fresh produce packer located in Kennewick, Washington announced today that it has passed an audit and received USDA certification for Good Agricultural Practices (GAP) and Good Handling Practices (GHP). The packing shed passed rigid requirements and inspection to receive the certification. “We are excited to obtain the USDA certification,” said Brad Gentry, COO of Columbia Fresh. “It is great to be recognized for the good sanitary and packing practices that our shed provides,” he added. “We look forward to continued audits to keep us consistent in our handling practices,” added Dewight Hall, owner of Columbia Fresh. Columbia Fresh Packing packs fresh market apples and sweet cherries. The packing shed is located at Cherry Ridge Farms in Kennewick. Cherry Ridge grows 100 acres of fresh sweet cherries as well as 10 acres of apples. The farm is also known for its annual Mother’s Day Flowering Basket sale held the first weekend of May each year. Almost 3,000 decorative baskets decorate many cities in the area. The USDA, Agricultural Marketing Service, Fruit and Vegetable Program, Specialty Crops Inspection (SCI) Division Audit Programs offers voluntary independent audits of produce suppliers throughout the production and supply chain. 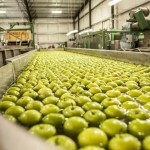 SCI Division Good Agricultural Practices (GAP) audits focus on best agricultural practices to verify that fruits and vegetables are produced, packed, handled, and stored in the safest manner possible to minimize risks of microbial food safety hazards. 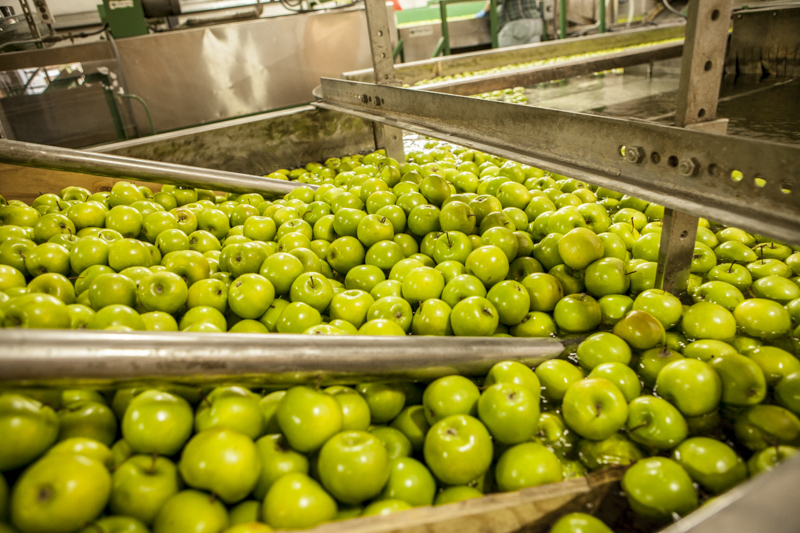 SCI Division GAP and GHP audits verify adherence to the recommendations made in the U.S. Food and Drug Administration’s Guide to Minimize Microbial Food Safety Hazards for Fresh Fruits and Vegetables and industry recognized food safety practices. In 2014, the USDA Audit Program performed over 3,800 Good Agricultural Practices (GAP) and Good Handling Practices (GHP) audits in 46 states and Canada, covering over 90 commodities. A slow start to new-crop Florida production and continued weather-related problems in Mexico put a dent in tomato volumes and size at the beginning of spring. In the second half of March, Homestead, Fla.-based The DiMare Co. was beginning to see the effects of a February cold snap on its Immokalee, Fla., tomato crop, said Tony DiMare, vice president. “Yields are starting to fall, size was down last week, and it’s down again this week,” DiMare said March 24, adding that warm March weather also was having effects. Rain and hail in Mexico and light production during the Florida transition led to a demand exceeding supplies in the second half of March, said Chuck Weisinger, president and chief executive officer of Fort Myers, Fla.-based Weis-Buy Farms Inc. Excited to share new website today to you all! Today, we emailed an announcement to our customers and friends about our new website. Not only are we providing various information about Columbia Fresh Produce, but we are sharing information about our other sister companies who enhance our fresh produce business. Columbia Fresh Packing now allows us to pack bulk fruits and vegetables into a variety of sizes to fill customer orders. It also allows us to sort produce so we can offer various sizes of fruit. 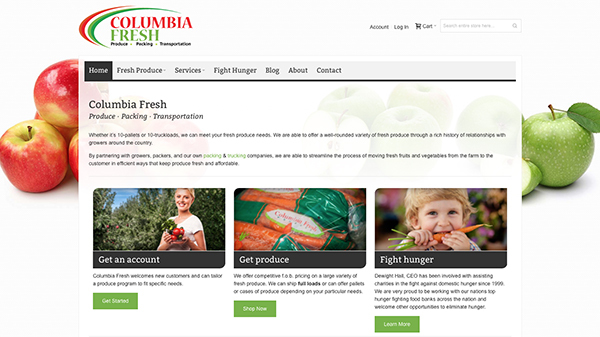 Columbia Fresh Transportation Services allows us to service our customers from field to warehouse keeping a close eye on the entire supply chain to assist us in making sure we have good delivery of your products. Whether you are a grower, looking for a smaller, more personal experience, a seller looking for a repacking facility, or a packing shed looking for assistance in pre-sizing your fruit, you’ve come to the right place! At Columbia Fresh Produce we have spent a number of years working with packing facilities throughout the United States and Canada, to bring you, our customer, the best quality product. These relationships are now stronger than ever, and we continue to pride ourselves in the quality that we can represent through these various partnerships. As we continued to grow, we felt it a critical next step to invest capital, gained knowledge, and a whole lot of elbow grease into our own packing facility. This opportunity would not only allow us to pack our own orchard grown fruit, but work with growers around Eastern Washington, packing their fruit with the same service and support we’ve built our reputation on. In January of 2014, we officially opened Columbia Fresh Packing, Inc.
And while we are well versed in packing apples and pears, we are able to pack a variety of other items, including potatoes and onions. 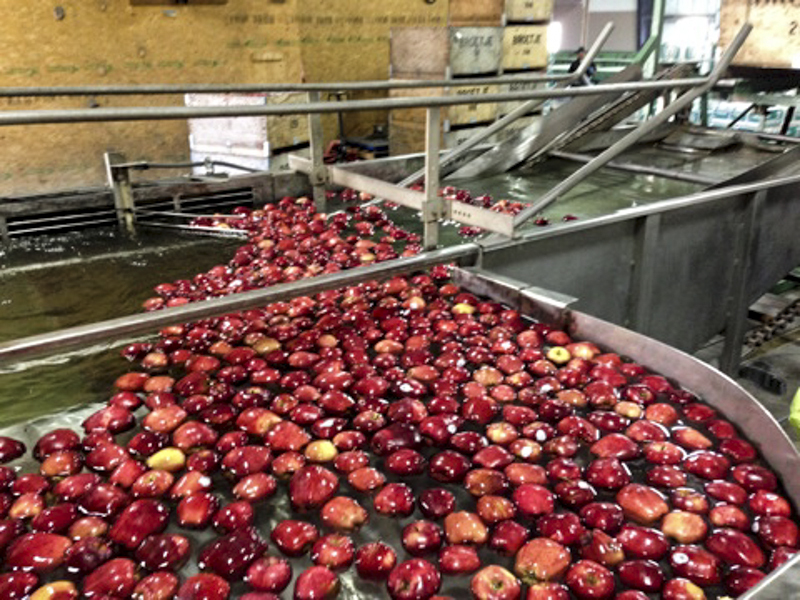 Our system is designed to float fruit down a flume, or dry dump non-floating and packaged product right onto the sorting line. We look forward to servicing you in any way we can! New mobile-friendly website set to launch soon! We are very excited to share the news of our new website. The website will feature a shopping cart highlighting current real-time fresh produce offers. Customers are pre-approved for entry into the cart for detailed produce load information. Any visitor to the site can visit the shopping area to review what is available and from what area of the country. Our thoughts are focused on the east coast today! We would like to wish everyone well on the eastern seaboard who were in the path of the winter storm. We have many wonderful and hard working food bank customers in that region. We hope that you all are doing well, keeping warm, and are well fed. Let us know how we can assist you. Be safe. (877) 968-9067. © 2018 Columbia Fresh. All Rights Reserved.